The company says it will now consult staff and listen to any alternative suggestions from them for how to keep the stores open. 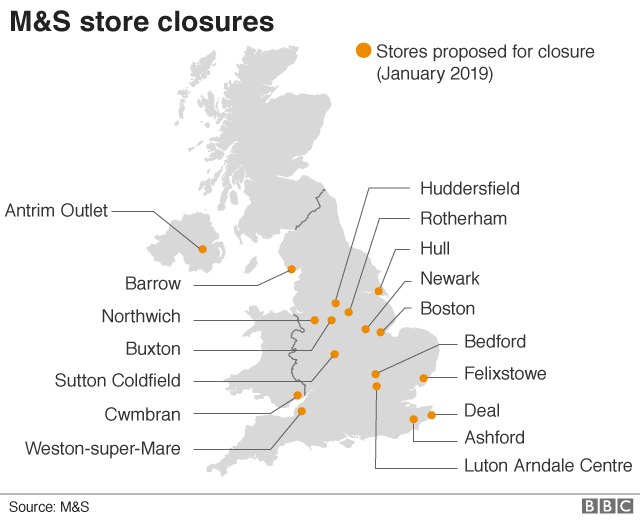 Gary Carter, national officer of the GMB Union, said: “Employees across the sector will be very worried about their job security and wondering which retailer will be next to shed jobs or close down. 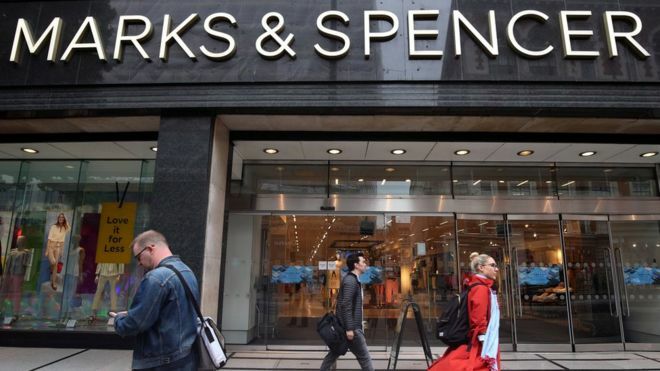 The latest proposals are part of the M&S’s store estate programme, which it first announced in November 2016. 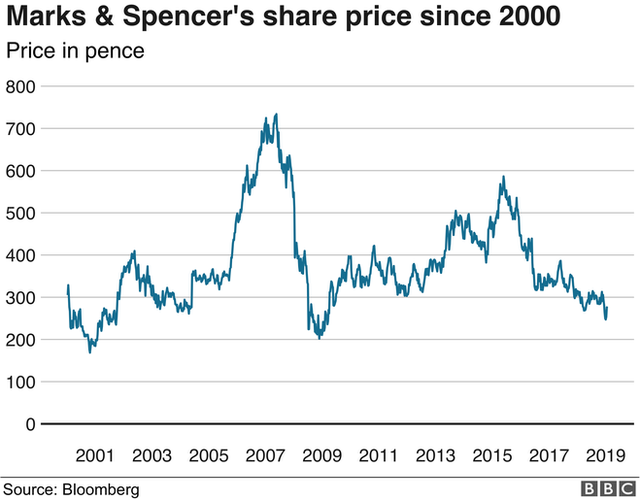 M&S saw its sales drop over the Christmas holiday period. In a trading statement published last week, it said like-for-like sales, which strip out the impact of new stores, were down 2.2% in the 13 weeks to 29 December. Food sales fell 2.1% and its clothing and home sales division slid 2.4%.